The new model show from the HaMeX organisers is arriving soon, with liftoff planned for Stardate: July 1, 2012. 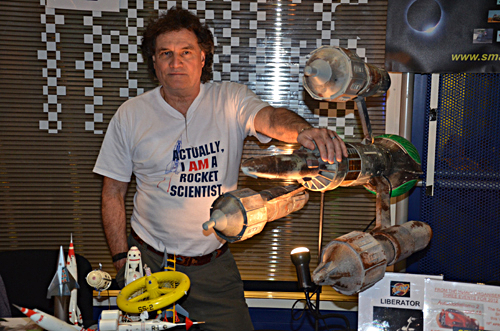 The smallspace event will feature a galaxy of space, science-fiction and fantasy modelling. 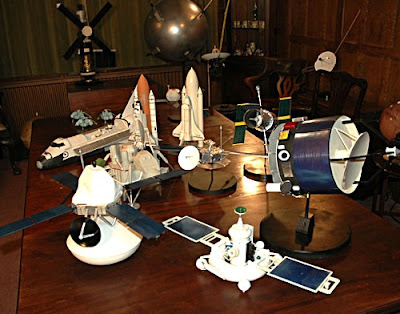 A fantastic day is promised for UK model fans at the smallspace model spectacular, liftoff due in a couple of Sundays, on July 1, 2012. 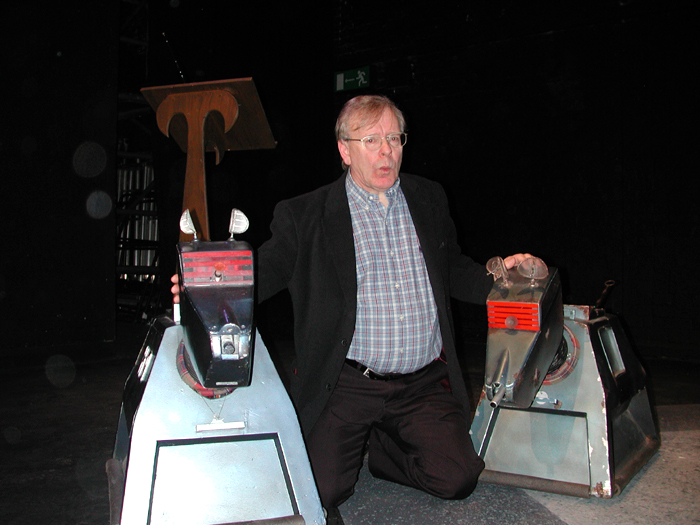 There’s heaps of stuff on offer, including a special guest from TV’s famed Doctor Who, none other than the 'voice of K-9' himself, John Leeson (above). 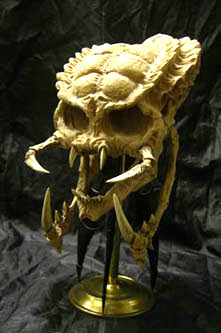 And the actual special effects prop K-9, as used in both Doctor Who and The Sarah-Jane Adventures, will be alongside. 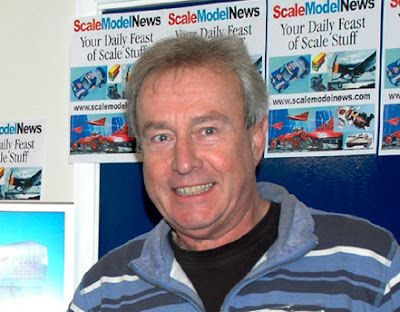 You will be able to chat with John, have your picture taken, and maybe - for a modest fee - get a signed photograph. BBC Visual Effects Designer, Mike Tucker (above) will also be attending smallspace. 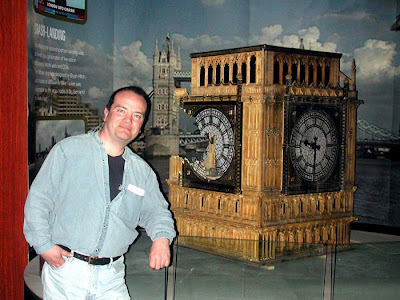 Mike is seen here with the Big Ben clock tower model he designed and filmed for the first series of the new Doctor Who. Mike’s presence means that, along with the show's co-organiser, Mat Irvine, you have two BBC Visual FX designers, and both the authors of BBC VFX, a unique book that details the story of the BBC Visual Effects Department. 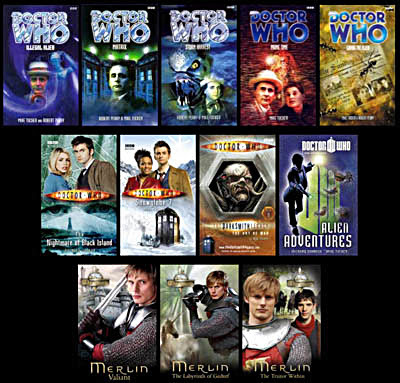 Mike Tucker also writes his own novels, and novelizations of both Doctor Who and Merlin stories. And at smallspace, his own series of limited-edition prints will be on view, where they will be available to buy for the first time. Scores of FX props and models will be on show at smallspace, from Star Cops, The Hitch-Hikers Guide to the Galaxy and Red Dwarf, to Doctor Who, Blake's 7, Moonbase 3, and Space Vets. 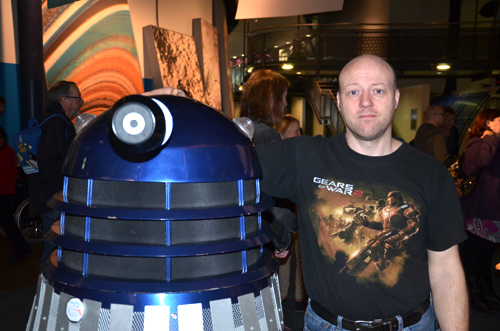 The Doctor Who theme starts before you walk in the doors, with a squad of real-life Daleks waiting outside. Steve Fletcher will be co-ordinating them in greeting (or exterminating) visitors arriving at smallspace - assuming the Daleks obey him, of course! There’ll be an amazing display of replicas from the Gerry Anderson series, expertly recreated by David Sisson. 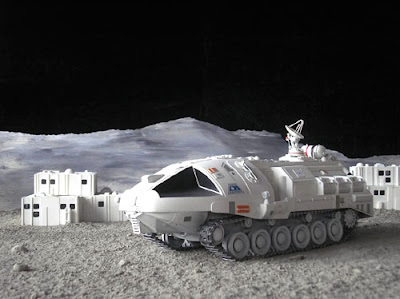 Look for Thunderbirds and Captain Scarlet, plus an actual Eagle spacecraft, as used in the live-action Anderson series, Space 1999. 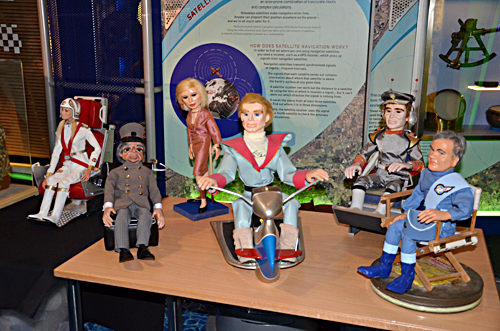 See the equally amazing puppet recreations by Duncan Willis, including examples from Thunderbirds, Captain Scarlet, and Stingray. It’s all happening with smallspace at Hanslope village, Bucks, UK, on July 1, 2012, and of course there's much more besides. Full details here. 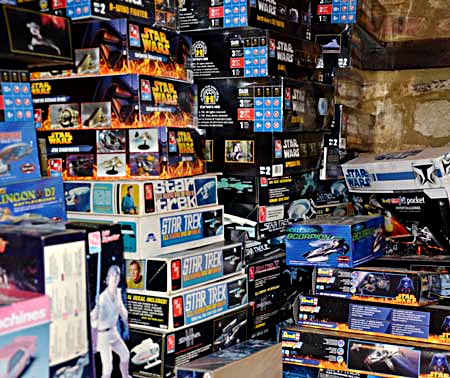 Here's Mat, surrounded by tasty stuff, and (below) heaps of kits for sale. 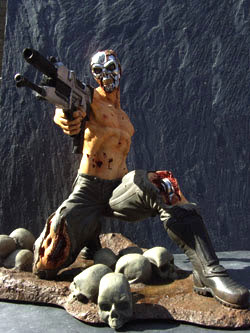 SMN's Mr J (above) will be there, as will space models by the planetful. 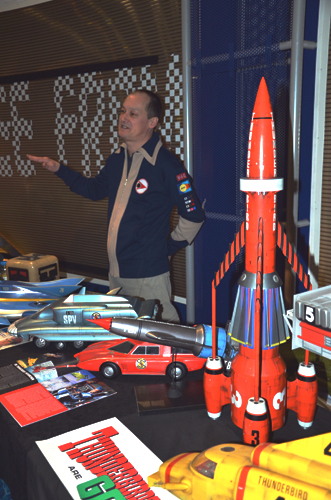 Look out for the Gerry Anderson Starcruiser at the SMN Crew Dock, along with displays of original art, and signed prints.